Before asking your girls to be a part of your big day. it's essential to evaluate who you want by your side as your biggest supporters and representatives. Don't feel like you need to select your bridesmaids based off obligations or promises made in the past. On your big day you want to be able to share it with those you have selected because of your shared memories, love and support. A bride needs an entourage who can calm them down when stressed and share the fun journey of planning a wedding. It’s essential that before you make the big selections sit down and decide how many people you want by your side on your big day? Who is reliable and there for you? Who do you most want to share the big moments of your life with? This will hopefully assist you in assembling a list of who to include in your bridal party. If you're finding it difficult to decide, talk to your partner. They will know who can have your back during the emotional roller coaster of preparing for your big day. Asking your bridesmaids can be so much fun! There are lots of beautiful ways to make them feel special to be included in your entourage. You can compose a simple email, letter or card or you can create a little gift box with yummy snacks or champagne, wedding colour swatches, ribbons and little details you may have decided for the wedding day. Once you ask your girls to be part of the celebration it's a good idea to communicate responsibilities and expectations. Effective communication is a great way to prevent conflict and stress during the most challenging parts of the wedding planning process. Also, remember, a bride doesn’t have to delegate the biggest or most tasks to her Maid of Honour. Instead, have a candid talk with all of your bridal party and see what the girls want to be involved with. Get your best friend's to help you out based on their talents and interests and help them enjoy the process of being involved as well. Choosing bridesmaids’ ensembles isn’t the simplest of tasks, especially when multiple girls are involved. Everyone has different tastes, body types, and insecurities. 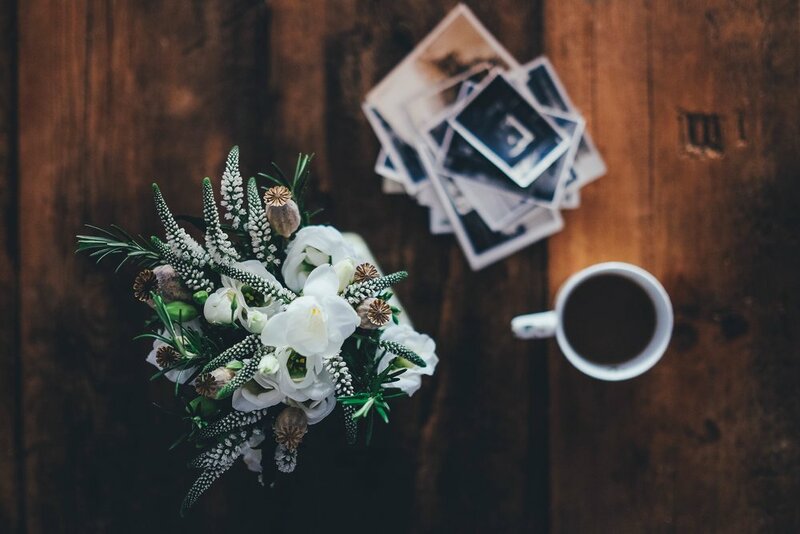 An excellent way to start off is by talking with everyone in your bridal party: find out what they feel good in and how that might gel with the theming of your wedding. From there you can have a bit of a brainstorm using tools like Pinterest, doing some online window shopping even going by yourself to some boutiques. It's great to ascertain your vision without input from too many different sources pulling you in opposing directions. 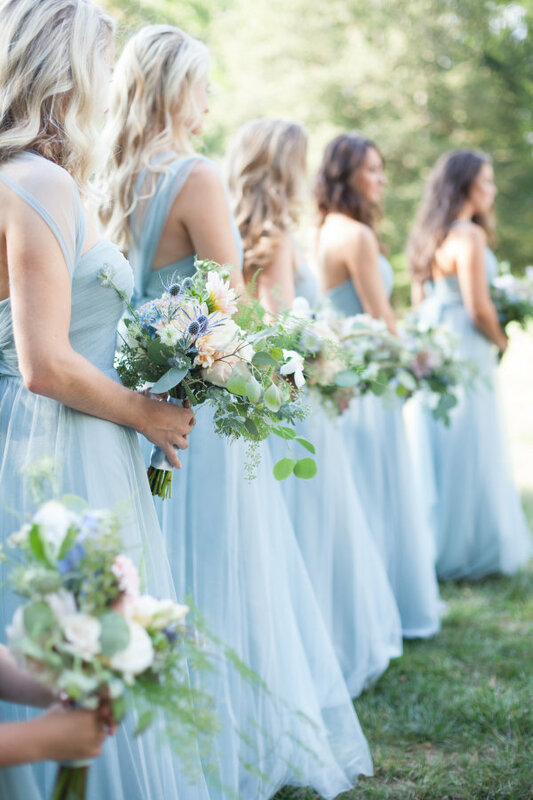 Once you have a vision for the bridesmaid styling get everyone together and share your thoughts, what dresses you like and what palette you're interested in having for your bridesmaids. If you have several members in your bridal party that have differing tastes, body types and or skin tones there are lots of options in terms of multiway dresses and mismatched looks. If you want a universal look try going for the always flattering A-line or wrap dresses in neutral shades, navy or black. Accessorising and styling your bridal party can be so much fun. If you are having a relaxed bohemian wedding you might want to go over the top with flowers, ribbons, an eclectic jewellery. For other looks try trends like quirky or statement shoes, a rainbow pallet, ombre, metallics or fashion forward hair and makeup. Every wedding is going to have slightly different responsibilities and delegations for bridal party members but traditionally there are a few that should be covered off buy your Maid of Honour and/or your bridesmaids. These include, but are not limited to, any major shopping and decision making such as wedding dress shopping and selecting major vendors. Brides can also expect bridesmaids to help out with engagement party invitations, gift lists and, of course, planning the bridal shower and hen’s night. Depending on family culture bridesmaids may or may not cover the cost of their dress and styling but it is always a good idea to discuss costs with your entourage early on. Most brides will pay for bridesmaids styling and accessory costs or the dress. If you are asking your bridesmaids purchase their dress it is a good idea to involve them in the dress shopping process. At the end of the day the most important thing is that you and your bridesmaids have a great time. Remember that this is you with your favourite people getting ready for best day of your life. When it comes to getting ready on your wedding day enjoy getting pampered together, make sure everyone has eaten and had something to drink. A great way to keep nerves and stress down is getting ready over a champagne breakfast. Also, don’t forget to gift thank you presents to your entourage. A thoughtful gift could include handwritten cards or letters with dressing robes, mini perfume bottles, jewellery or personalised trinkets. Nothing captures these precious moments with your bridesmaids better than a video, recording the loving moments and laughs before and during your ceremony. Check out some of the relaxed, fun filled bridesmaid moments in our past videos and contact us if you would like MATA FILMS to be part of capturing your wedding memories.